Santa Fe Hotel features 62 four-star rooms that we’ve outfitted with an array of details and special touches that make them truly unique. 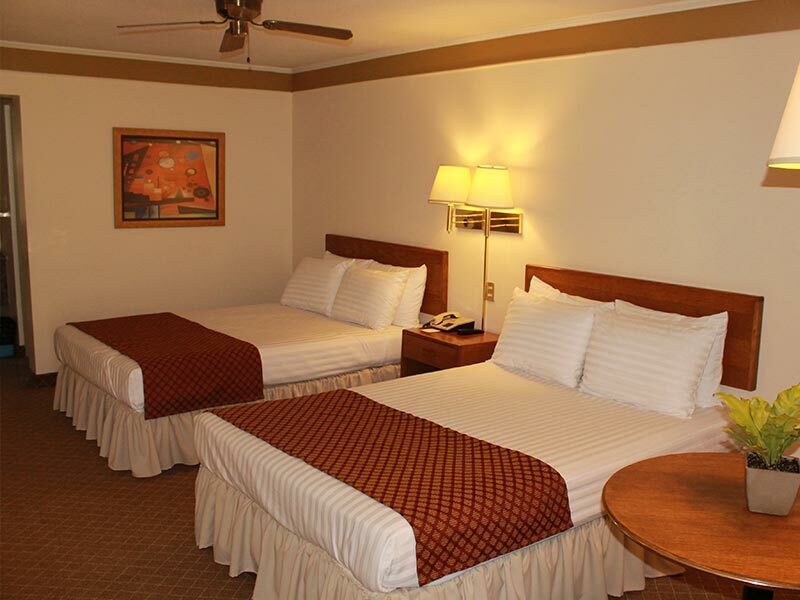 All of them clean, cozy and spacious, our Camargo City hotel rooms are designed for the business and leisure travelers looking for a home away from home. The standard rooms are really comfortable accommodations equipped with two double beds and space to sleep up to 4 people or 2 adults and 2 children. The best choice for resting after a long working day, our business room features two double beds and capacity to accommodate 4 people or 2 adults and 2 children. It’s equipped with coffee maker, hair dryer, wake up alarm and ironing kit. The comfort of the Jr. Suite has no comparison. These options feature one king size bed and sleep up to 2 people. Their services and comforts include a reclining chair, coffee maker, hair dryer, wake up alarm and ironing kit. Spacious, comfortable and provided with details that make you feel at home. It features a king size bed and sleeps up to 2 adults and 2 children; the suite at Santa Fe Hotel has a living area with double sofa bed, bedroom and dressing room, minibar, microwave oven, coffee maker, hair dryer, wake up alarm and ironing kit.